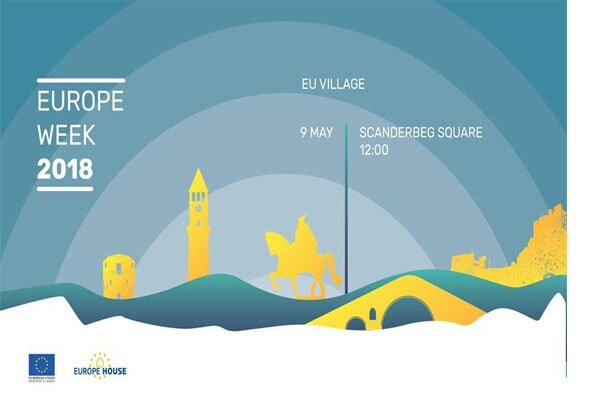 In Skanderbeg Square from 12:00 until 18:00 the EU Village! EU Village is part of the Europe Week 2018 and is organised by the EU Delegation to Albania in cooperation with the Embassies of the EU Member States in Albania and EU funded-projects. 13:00 - 14:30 Kids Corner. Come and play with us! 14:30 - 15:00 How can we all preserve the natural wonders of Albania? 15:30 - 16:00 Studying in the EU! How and where? 16:00 - 16:30 EU enlargement: what does it mean for Albania? Families are encouraged to attend, as there will be many activities for children.